I’ve had my eye on this yarn for a while now, but at $10/50g I stayed away. Luckily it went on a half price sale and I was able to snap some up! The yarn reminded me of the ice castle in Frozen as it was all shades of blue with super soft metallic silver threads running though it. I knew I wanted to make a shawl/scarf to use for my upcoming Canada and Alaska holiday. So I googled a lot of patterns. Some were too complicated, and some wanted more finer yarn. This is 12 ply. So eventually I found this one! Twinky Chan is an amazing crocheter who loves colour and food style crochet projects. 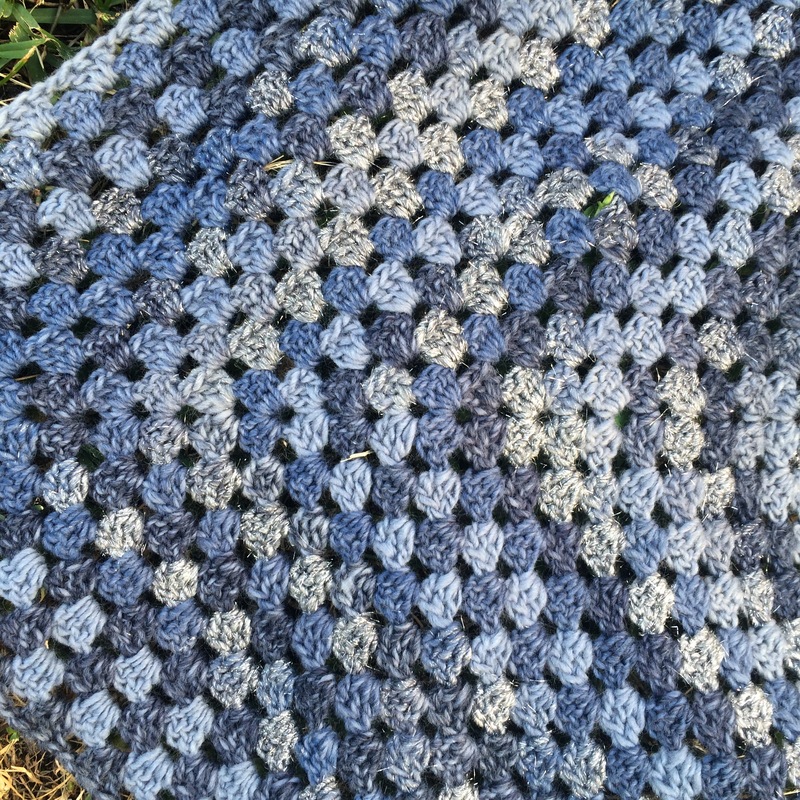 The pattern is super simple and just a repeat after row 3! This took about 5 hours with a 5mm hook and 4 balls of wool. It probably would have taken a lot less but I was taking my time. The result is a lovely shawl that can be worn many ways. I love how the yarn looks with this pattern! I would like to attempt this pattern again with different yarn to see the result! This is beautiful and I love the colors!